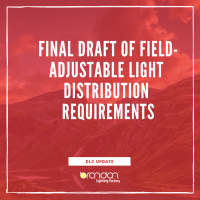 The DLC’s Testing and Reporting Requirements for Linear Replacement Lamps, updated on March 12, 2018 as a part of SSL Technical Requirements V4.3, specified Zonal Lumen Density (ZLD) requirements for 3-foot and 8-foot replacement lamps that were incorrectly aligned with troffer reference luminaires rather than strip luminaires in which these lamp types are required to be tested. The requirement of reference housings provides testing results under common conditions in which the lamps would be installed. 2-foot, 4-foot, and U-bend replacement lamps are tested in reference troffers, while 3-foot and 8-foot lamps are tested in reference strip fixtures. The DLC has updated the Zonal Lumen Density requirements for 3-foot and 8-foot replacement lamps to require ≥40% in the 0-60° zone. 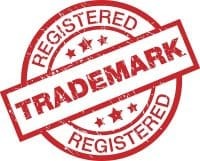 As a result of these changes, any products submitted for qualification since the release of SSL Technical Requirements V4.3 will be subject to the updated Zonal Lumen Density requirements, so long as testing is performed in a currently-approved reference housing.